Babyhood, pre-schooler, school and teenage years, adulthood and senior citizen…these are the times in a life. 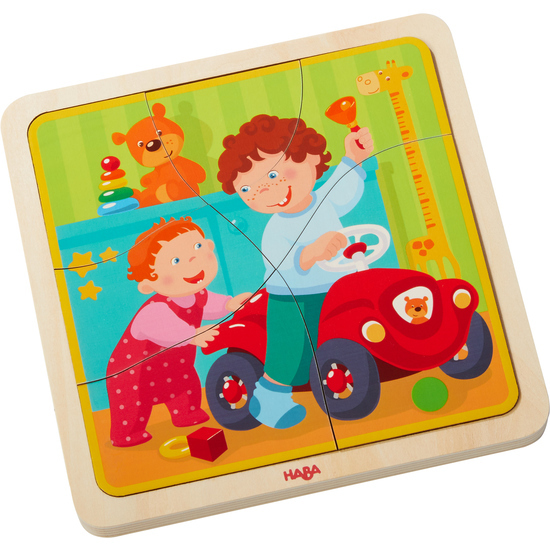 On the individual puzzle pieces, children discover all these important phases in life – layer for layer. Each piece is puzzled on top of the other in the recess. Fascinating fun fostering fine motor skills. Contents: 1 puzzle board, 22 puzzle pieces.